Support the Delta Blues Foundation and help the Delta Blues Museum- Mississippi's first music museum - help us match our grant to upgrade our exhibits! The Delta Blues Foundation is a 501c3 established to support the ongoing work of the Delta Blues Museum, Mississippi's first music museum. The Delta Blues Museum (DBM) is not about an individual or an industry but rather about the men and women who created the unique musical art form known as the blues. We are in the final design stage of planning new permanent exhibits and need to raise $30,000 to complete this stage of our project. Since its beginnings in 1979, the DBM has been dedicated in its mission to create a welcoming place where visitors find meaning, value, and perspective by exploring the history and heritage of the unique American musical art form of the blues. 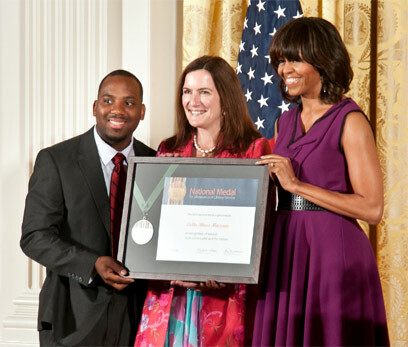 The DBM not only focuses on blues artists and their work but also promotes the blues by teaching this music to the next generation through our award-winning arts and education program. In 2012, with assistance from the Mississippi Department of Transportation, the Mississippi Arts Commission and the Mississippi Department of Archives and History, the DBM added 7300 sq ft of new exhibit space to our gallery (see photo below) and since then has been working on plans for new permanent exhibits, which will fill our total gallery space (old and new) which is about 12,000 square feet. The DBM has an impressive collection of artifacts that include instruments, recordings, performance outfits, original art and photography. We want to showcase these items and also bring them to life with interactive experiences so that we may share the stories of these important men and women and also provide a soundtrack for the visitor experience. WE will explore topics such as music from Africa to Mississippi; the Crossroads; Muddy's world, which will incorporate 1940's Clarksdale and Coahoma County recounting plantation life as well as adventures in the New World District. We will chronicle how blues gave birth to rock and roll, explore the blues revival and complete the experience with today's Clarksdale blues scene. Please help us continue our work to honor these artists and their contributions and educate the next generation of blues musicians by donating to the Delta Blues Foundation today. The Delta Blues Foundation is a 501c3 that supports the work of the Delta Blues Museum. 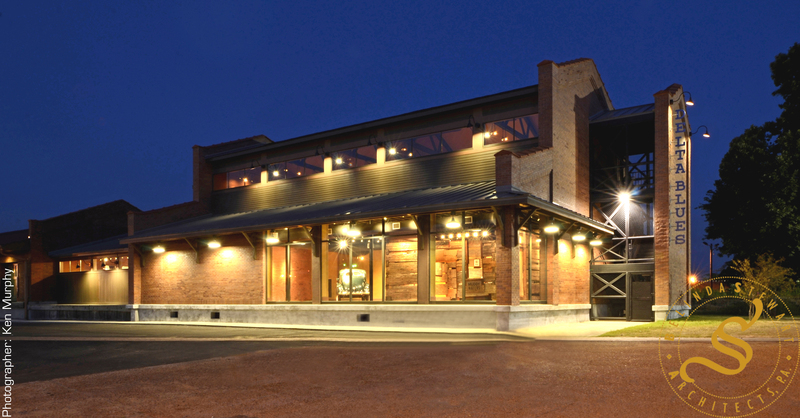 The Delta Blues Museum is dedicated to creating a welcoming place where visitors find meaning, value, and perspective by exploring the history and heritage of the unique American musical art form of the blues. 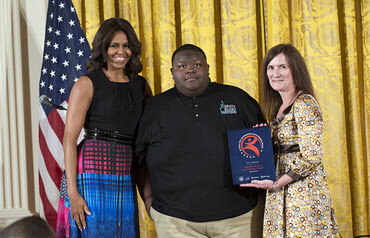 The Blues represent the roots of American music. And as Mississippi’s oldest music museum, the Delta Blues Museum represents the heart and soul of the Blues—not by honoring an industry or any one individual, but by honoring the culture and the musicians that shaped this art form. Help us to provide state-of-the-art educational features for the museum. Donate today and help the Delta Blues Museum tell an even deeper story of the Blues for generations to come. The Delta Blues Museum has been awarded a $100,000 Museums for America Grant, given by the Institute of Museum and Library Services. 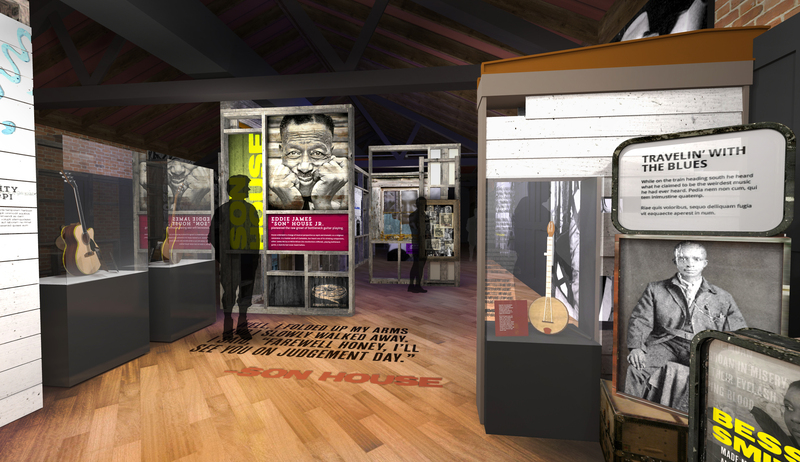 The purpose of the grant is to complete the final design for new permanent exhibits, allowing visitors to explore highly relevant issues of race, class, and place through the blues and its influence on music and people around the globe. The exhibit and related community programming will provide an innovative approach to storytelling and offer visitors different ways to relate to history. The IMLS grant will ready us to build and install new permanent exhibits in the museum gallery. Upon completion, the Museum will tell the Delta Blues story in a more in-depth way by providing another level of interpretation of our artifacts through video and interactive visitor experiences. Your tax-deductible donation will go to the Delta Blues Foundation, a 501c3 organization dedicated to supporting the work of the Delta Blues Museum.